In addition to accepting bets on major sporting events in football, basketball, baseball, soccer and golf, online sportsbooks have been expanding their offerings and are accepting wagers on political races, Academy Awards, and reality television shows. While internet sportsbooks lack face-to-face transactions, they can handle more customers than physical sportsbook shops and operate more cost effectively. They pass lower costs on to customers in the form of reduced vigorish (cheaper prices) or bonus incentives. They can also offer similar products, such as casino games, bingo, and poker to their existing clients. 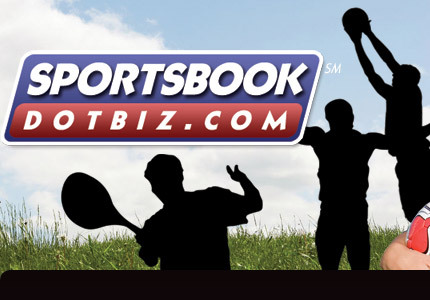 Internet sportsbooks range from fraudulent operations with no intention of paying their customers to multi-billion dollar publicly traded companies. Furthermore, many internet sites have been reported for questionable customer service practices and withholding money from customers. It's up to the bettors to research and choose which reputable online sportsbook to bet on. Internet sportsbooks range in focus, as some primarily cater to American sports, while others focus on European soccer. Some sportsbooks handle large wagers while others have low wagering limits. Some offer many exotic proposition wagers, where others have limited choices. Payment methods are not universally accepted at all sportsbooks. Costa Rica is home to a large number of offshore sportsbooks, as it caters to many of the needs of the industry with an open regulatory environment and a large, capable workforce. A number of sportsbooks are also located in Isle of Man, Jamaica, Gibraltar, Antigua, Curaçao, Australia, United Kingdom, Philippines and many other countries around the world. In the United Kingdom, land-based sportsbook pioneers like Ladbrokes and William Hill which offered walk-in betting shops for decades also has online counterparts.